Highlights of Exeter v Stevenage from League 2 in the Sky Bet Football League. Exeter City and Stevenage shared the spoils in a 3-3 Sky Bet League 2 thriller at St James Park. Exeter stormed into a two-goal lead inside the first 15 minutes. David Wheeler headed the first, when he got on the end of a superb cross by Lee Holmes with just four minutes on the clock. Clinton Morrison then scored his first goal for the club - at the 36th attempt - when he spectacularly hooked a deflected cross by Wheeler over his shoulder and into the net from close range. Stevenage pulled a goal back on 39 minutes when Dean Parrett curled a superb free kick into the top corner from 25 yards and they were level just before the break when Ben Kennedy capitalised on some poor Exeter defending to nod past Bobby Olejnik from close range. Reaction from both Teddy Sheringham and Paul Tisdale after Stevenage's thrilling 3-3 draw at Exeter. 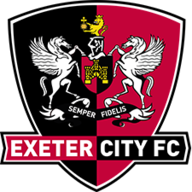 Exeter dominated the second half, but lacked that killer touch, but that all changed on 81 minutes when Wheeler latched on to a David Noble pass and from the corner of the penalty box and sent a lovely dipping shot over Chris Day and into the far corner. 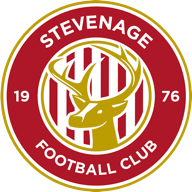 Tom Conlon's free-kick hit the angle of post and bar as Stevenage responded and in stoppage time before Chris Whelpdale rescued a point with another stunning strike, volleying in from 18 yards in the final minute.